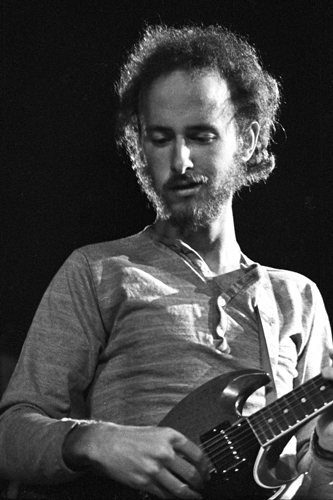 One of the psychedelic rock era's most important pioneers, Robby Krieger, founding member and guitarist of the Doors did most of his sonic damage using one particular make and model of guitar. While the 'rock room's' Tools of the Trade feature focuses on one particular instrument of choice for a chosen musician, in the case of Krieger he used multiple versions of one particular maker and style. Krieger's choice of instrument never strayed far from the curved devil's horn's of a Gibson's SG guitar. Krieger once said about his SG's, 'it does what I need it to do'. A slight understatement, when Krieger joined the Doors in 1965 he had been playing electric guitar for maybe a year. His limited musical background was steeped in classical music from his parents influence and his earliest instrumental experiments were on trumpet and piano. His guitar interest blossomed with the explosion of early rock and roll but his playing stayed rooted in flamenco and blues and acoustic music. Krieger took lessons and studied flamenco guitar while in school. His sound is one of the most recognizable in rock, a sonic fingerprint resulting in 'ah-ha' moments even if heard through the distorted crackle of a distant FM classic rock radio station. Whether contemplating his extended jazz excursions peppered with 'Summertime' and 'My Favorite Things' quotes in the central jam of his own composition 'Light My Fire' - his psilocybin landscapes of finger-picked guitar during 'The End' - or his unidentified flying object silver screams of feedback in 'When the Music's Over'. Krieger always coaxed inspiration from a history of sources and from the wooden bones of his favorite guitar. In 1961 Gibson introduced the SG guitar (SG stands for solid body) without approval from Les Paul himself, hence Les's name missing from the guitar. Krieger first came into contact with an SG in 1964 when he was in a pawn shop looking for a cherry red Gibson 335 similar to the one he witnessed Chuck Berry playing. Without the budget of Berry the young aspiring Krieger found a Gibson 1964 SG Special for under $200.00. Thus would begin Krieger's move from flamenco and folk to electric rock and roll and a place in history. The instrument would go on be Krieger's main guitar throughout the Doors and his career as a musician until it was stolen in the early 1970's and would also initiate a love affair with the particular style of guitar that lasts right up to today. This first SG guitar of Krieger's was heritage cherry in color, featured a solid mahogany body and a maple/mahogany neck marketed as the 'fastest in the world'. The 22 fret guitar was the distinctive SG double cutaway lending a greater reach to the top of the neck. The guitar also came outfitted with a vibrola tremolo which Krieger would have removed. The guitar was outfitted with two volume controls and two tone controls as well as a pick up switch. Krieger would use this guitar on all the early Doors recordings and concerts before purchasing a 1967 SG Standard in late 1967 early 1968 which he would also use often in junction with the 64. The original 64 SG would assist in blazing the trail for Krieger while he made a name for himself. But after these formative days Krieger's SG's become more difficuly to track; he has been quoted as saying he had 'lots of red ones' and for the remainder of the Doors career, as well as his stint with the Butts Band and his solo work many would come and go. The first 64 SG he owned is recognizable though from the 67 by its dot inlay and smaller pick guard. Krieger's later guitars would have the larger 'bat wing' pick guard pictured below. Krieger's uniqueness as a player was birthed at this aforementioned early time by the influence of his flamenco and blues finger picking style transposed to an electric rock context. 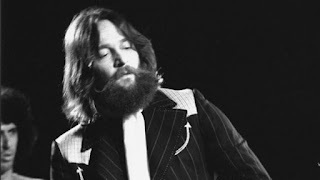 His formative electric playing melded with his Doors band mates Morrison, Manzarek and Densmore, all unique players hailing from a plethora of musical backgrounds which developed a particular and unparalleled style of playing for Robby. Krieger's finger picking fit perfectlyin a band with no bass player as he was able to add bass notes with his thumb when needed. Through his experiments in exploring modal scales, feedback, drone, LSD and slide guitar, Krieger, with his trusty SG was able to revolutionize a shamanistic approach to his instrument and become the perfect accompaniment to his peculiar band mates. The most famous example of Krieger's inner collaboration of influence can be witnessed on 'Spanish Caravan' from the Doors 1968 album Waiting for the Sun. Here the song opens with Krieger solo acoustic, playing a piece influenced by the Spanish classical guitar movement 'Asturias'. Before long he soars in with a fuzz drenched descending riff into the song proper. Krieger's progressive guitar influence is on full display in this track where both sides of his coin of influence can be enjoyed. 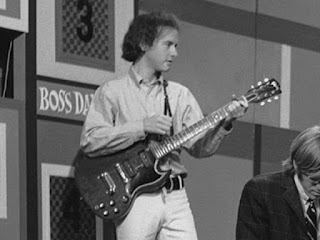 In late 1967 early 1968 Krieger purchased the previously mentioned Gibson 1967 SG Standard that I believe he still owns today. Besides the differences in appearances, sonically the 67 SG contained two humbucker pickups as opposed to the P-90's resulting in a thicker more rotund tone. Obviously tone is subjective and a number of factors like, strings, amps, pickups, modifications, approach and even weather can affect the color of an artists sound. In the case of the SG, generally the guitar offers a throaty voice and a husky bite. Jerry Garcia used an SG in the Grateful Dead during the same era 68-69 resulting in some of the finest examples of the alchemy of the instrument in the correct hands. Pete Townsend and Carlos Santana can also be seen holding the red devil during the late 1960's and early 1970's. Krieger usually plugged his SG' into Fender Twin's, a standard in rock and roll, though his first amp in the Doors was a Magnatone amp with two 12' speakers. He also used(s) a Fender Showman amplifier and a host of other Fender amps. 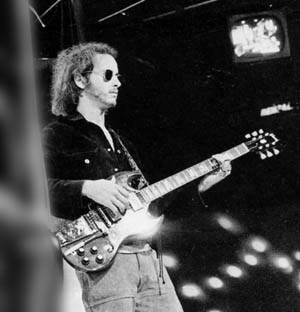 Krieger in his Doors days also played with a limited amount of pedals and effects on stage which include but may not be limited to a Maestro Fuzztone and an echoplex pedal. He was an expert in coaxing sound from whatever he had close at hand, a forager for the organic muse with a minimal of extraneous tools. The perfect foil to Morrison's lyrical detours, Krieger used melodicism to shape formlessness and a transparent cadence to keep the music buoyant and afloat. Robby's influence on rock music as well as the SG guitar came to full fruition in 2009 when Krieger's 67 Standard would be combined with elements from a close friends 1961 SG (the neck) as well as other personal specs and qualifications to create the Robby Krieger Edition SG guitar. This instrument combined all of the greatest strengths and personalized touches of Krieger's guitars into his own guitar. The signature instrument culminating a long musical road from his picking the 64 SG Special off of the wall in the pawn shop all those years ago.